What is rich, chocolatey, chewy and life changing? That’s right –– brownies. Every year on December 8th, brownie lovers come from far and wide to celebrate the birth of National Brownie day. It all started in the 1800’s, when the innovative people at the Palmer House Hotel of Chicago, introduced a special pastry that would change the baking industry for years to come. Obviously that would be our go-to choice. In all honesty, what else would you expect for a day dedicated to something as amazing as this? Take the day to try new kinds of brownies that you've never tasted, and don't forget to bring milk! 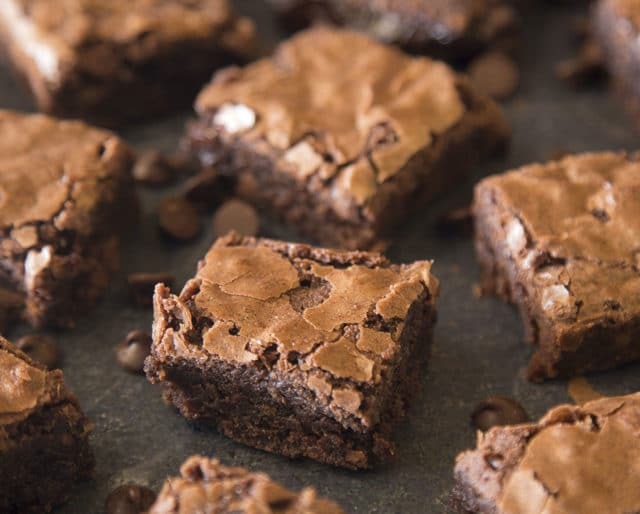 Spread the word that today is National Brownie day by posting your best pictures on social media. Inspire your followers to get out there and try new brownies for themselves. As mentioned above, there are a variety of brownie recipes our there. Invite your pals over for a night of brownie taste testing. Supply a brownie bar of different kinds. We recommend double fudge, oreo, mint, walnut and peppermint brownies. Ding ding ding! Vanna, show them what they've won! Brownies are rich in flavor and definitely a guilty pleasure of ours. No matter hot or cold, they are delicious. Don't believe us? We dare you to tell us otherwise. Watch me whip, watch me bake, bake! Aren't baking brownies a blast? Always remember, that preparation is key. Pick your favorite ingredients and use some of the amazing recipes below... They are sure to please. Think about those movie scenes of dealing with break ups by eating chocolate. Why do you think that is? It's because they make you happy! So don't cheat yourself, treat yourself to some delicious brownies!